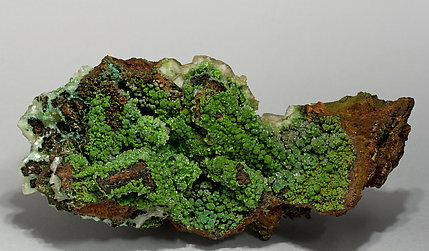 Spheroidal aggregates of Conichalcite with very intense green color, on a limonite matrix with scalenohedral crystals of Calcite. Of better quality than usual for this locality. 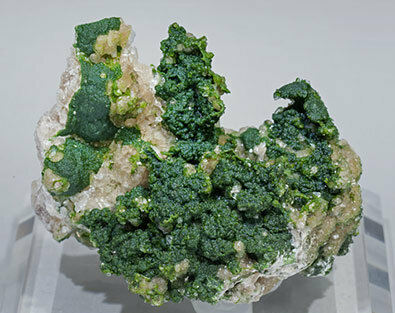 Spheroidal aggregates and small crystals of intensely deep green Conichalcite on a Calcite matrix. We’ll send a copy of the analysis to the buyer.